A 32-year-old Hartford father was shot and killed as he sat on his porch late Monday night and police are now investigating the city's 23rd homicide of the year. 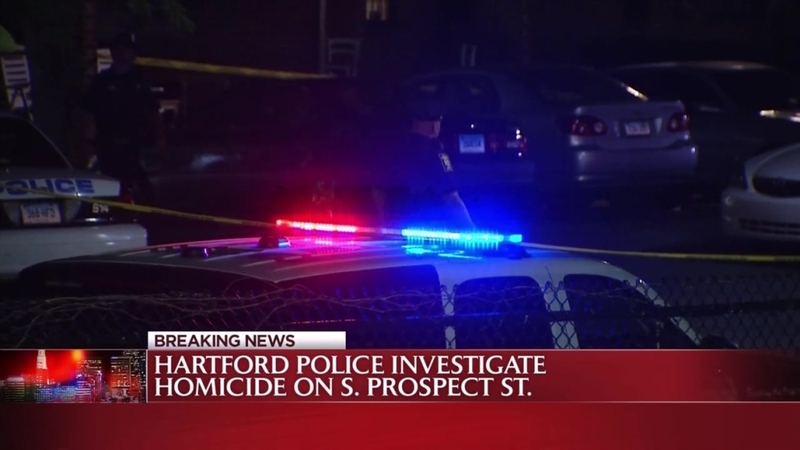 Police said they responded to 52 South Prospect Street just before midnight and the victim, William Prieto, 32, of Hartford, was pronounced dead at the scene. Prieto was shot several times in the chest and torso, police said. Family members said he was a father of two, with a third child on the way. The man's pregnant girlfriend was a witness to the shooting and said she and her husband were on their porch when someone fired several shots. She his under the table and the shooter ran from the scene. Hartford Mayor Pedro Segarra arrived at the scene and said the city has brought in more resources and they are doing everything they can to try and stop the homicides. Police have not arrested a suspect and said they believe the Prieto was targeted. "Indications are that this guy was certainly targeted somebody wanted to commit this act," Hartford Deputy Police Chief Brian Foley said. The was the first homicide of two within an eight-hour span in Hartford. Desmond Wright, 32, of Hartford, was shot in the head on Pershing Street on Tuesday morning and rushed to the hospital. He died at the hospital. A vigil for Prieto will be held on South Prospect Street at 6:30 p.m. on Wednesday to honor the victim of the Monday night shooting. Officials originally said he was the victim of the 22nd homicide in the city this year, but then said the medical examiner's officer had ruled a death earlier this year as a homicide, making this case the 23rd. That number climbed to 24 with the second shooting. As police search for the shooter, neighbors are on edge. "I saw the police coming through and the fire truck come through and I came out to see what was going on. Then after awhile, we saw yellow tape go up, so we had a feeling, I had a feeling it was a homicide," said Sherrail, who did not want to give her last name. "After I walked down to see what was going on, I heard screaming. I heard someone screaming down there. It sounded like he said something about my brother."